We seemed content to be the chaplaincy to a consumerist culture that was fast losing a sense of what it meant to be Christian. The church in every age is tempted by the surrounding culture as Christ was tempted by the devil. Worship me, the church is told, and you will have power and prestige. It is the deal that kings and aristocrats made with the church. It is the deal that plantation owners made with the church. It is the deal that the Nazi government made with the church. It is the deal that America makes with the church. The result of the church’s easy acceptance of the 20th century American version of this temptation is the desolation of the 21st century church. It turns out that rather than power and prestige, the church’s easy embrace of American cultural values — consumerism, me-first individualism, militaristic nationalism, and therapeutic spirituality — has led to the church’s marginalization. With little to offer people that they could not get in other places, the church found itself with less and less to say that was not already being said by others. As a result, more and more people see the church as irrelevant to their lives. At its core, I believe, the problem of the church is that a great many Christians have no idea what it means to be a Christian. We leaders in the church have failed to teach, and the people have failed to learn. Instead of Christianity, a great many Christians practice a kind of hopeful niceness with a veneer of Christian vocabulary layered on top of it. Many of them would be stunned to learn that being a good American and a friendly neighbor are not the sum total of what it means to be a Christian. This development has not gone unnoticed, of course. I am not breaking any new ground in writing this. Indeed, this problem is not even unique to our day and age. The Bible is a story of the ways in which God’s people have chased after things that are not God rather than worshiping and being formed by obedience to God. Remember the stories about that apple and that golden calf? This is the same problem we read Paul scolding churches about and John of Patmos dictating letters about in Revelation. 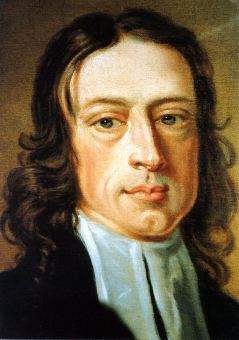 It is what inspired Luther to get his hammer out and John Wesley to preach while standing on his father’s tomb. And so it stirs many in the church today. One response to this need is the The New City Catechism, which has been published as a book and has a handy mobile app. The Catechism is a short work — only 52 questions — packaged as a devotional. It grows out of the Calvinistic Gospel Coalition and is based heavily on the catechisms from Westminster and Heidelberg. The roots of the catechism mean it cannot be easily adopted wholesale for use in Methodist churches. For instance, the Heidelberg catechism was adopted by the very same Reformed Synod that condemned the Ariminian affirmation of free grace. And yet, there is such pressing need for good formation and teaching in our churches, that I believe the New City Catechism could be a useful resource for pastors and lay leaders who want to help their congregations better understand what we believe and how that belief shapes the way we live. I’d be interested in resources for teaching you have used in your churches and in hearing about ways you have used or adopted catechism in your ministry. During the later stages of the controversy over Donatism in Africa during the fourth and fifth centuries, Augustine of Hippo took a major role. It is a long and complicated story and not without controversy still today, but I wanted to share some of Augustine’s words that remain relevant to the church today. While writing in response to an opponent in the controversy, he had these words for his allies in the church. In my branch of the universal church, United Methodism, we need these words. We have within our denomination two groups who are convinced of the truth. We stand arrayed like the Israelites and Philistines on the hills surrounding the Valley of Elah. In our struggle, each side believes itself to be the bearer of the banner of truth. Each side has come to this conviction with earnest, thoughtful, and prayerful effort. Neither side holds its convictions loosely, and for most on both sides those convictions are closely tied to a whole network of beliefs and convictions that are central to their entire faith. Neither could easily set aside their convictions on the issue of human sexuality without unraveling many other beliefs. The roots of their convictions are deep and tangled up with much else that defines their faith. Both sides are tempted to see and portray the other side not just as wrong but as evil, led astray by devil and in the legions of the anti-Christ. Both are tempted to see the other as not just in error but as the enemy of God. Both are tempted to attribute to the other all manner of vices and dark motives. Standing separate from these two groups, a third group calls for an end to the struggle. They do not appear to see how deeply rooted the convictions that drive the two contending sides are and appear to assume that they can be laid aside as easily as a person takes off a baseball cap and puts on another. They imagine a unity in the church that could only come if the contending sides both admit that what they hold as truth is not truth but mere opinion and not essential to what it means to be a Christian. Maybe the image I have drawn here is not right, but it is how the situation appears to me. It is not a new moment in the life of the church, which has sadly always been rent asunder by disagreements, heresy, and sin. And this morning I turn to the wisdom of Augustine to help me in this moment. I do not think either side can or will lay down their banners and return to their homes. And so I pray that we might hear and heed the words of Augustine until the Lord brings our church through this crisis. Act and preach and speak with gentleness. Love those with whom we contend. Set aside both pride and cruelty. Pray for those we believe are in error. I am not wise enough to see how God will lead us through this. If I am in error, I pray the Lord will break me gently. If I am in the right, I pray my words and speech honor Christ. Christianity thinks that a Dark Power was created by God, and was good when he was created, and went wrong. Christianity agrees with Dualism that this universe is at war. But it does not think this is a war between independent powers. It thinks it is a civil war, a rebellion, and that we are living in a part of the universe occupied by the rebel. Enemy-occupied terrority — that is what this world is. Christianity is the story of how the rightful king has landed, you might say landed in disguise, and is calling us all to take part in a great campaign of sabotage. Lewis was an Englishman writing during World War II. As I read these lines, I am reminded both of that war and of the legends of the English hero Robin Hood, who fought against an evil king until the rightful king returned to claim his throne. Our metaphors might be different and our frames of reference are not those that Lewis used. I’ve worked a bit on mapping this image onto the Star Wars movies, which also feature a rebel movement within a vast evil empire. Whatever metaphors we use, though, I find the basic idea compelling. To me, this basic idea — that the universe is in rebellion against its Creator — creates a lot of tension with the way we often think about the state of the world and our place within it. It is a rich and creative tension that calls us into forms of life and ways of being Christian that do not sit easy with cultural Christianity, but it also has risks. This “fighting religion” view of Christianity can lead us into grimness and its own kind of darkness. We must be careful of that even as we recall that the world is not as God intends it to be. It is bound by a dark power, and as servants of the light we are unavoidably at odds with it.